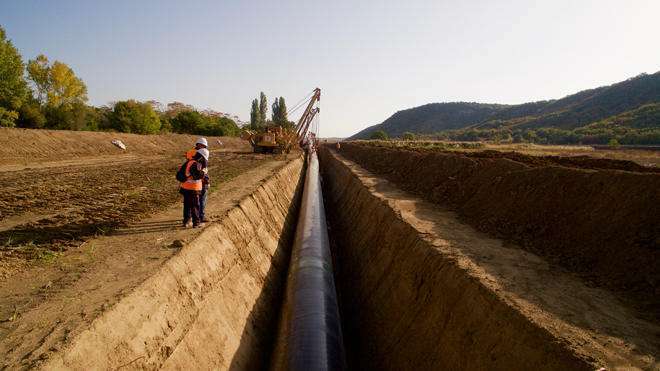 As much as 99 percent of the Trans Adriatic Pipeline (TAP) route in Greece and Albania has been cleared, TAP AG consortium said in a message. Once built, the Trans Adriatic Pipeline TAP will offer a direct and cost-effective transportation route opening up the vital Southern Gas Corridor, said the message. TAP AG said that 97 percent of steel pipes have been welded and 89 percent of steel pipes are in the ground (backfilled). “Around 72 percent of land in Greece and Albania is in the process of being reinstated. Around 650 olive trees are already moved to the storage area in Maledugno, Southern Italy,” said the consortium. The European Bank for Reconstruction and Development (EBRD) is considering allocation of 500 million euros loan for TAP project. Aside from EBRD, the European Investment Bank (EIB) will also discuss the allocation of 1.5 billion euros loan for TAP in February.